Understanding the mentality and culture within the Central Intelligence Agency (CIA) and other government entities that have inflicted catastrophic harm throughout the world, with tragic consequences upon the men, women, and families of the United States. Two of the most prominent areas in which the CIA's conduct has had catastrophic consequences for Americans have been in its 50-year history of drug smuggling into the United States, and its role in generating hatred for the United States throughout the world. As it relates to the role of terrorism against the United States, the books, Drugging America and Defrauding America, contains sections showing how the CIA aided the acts of terrorists. Several sections in Defrauding America relate to the role of a CIA-DEA drug smuggling operation to terrorism. Most of the current media and public attention is focused on the matter of terrorism. However, the harm to national security, the harm to the people of the United States from then arrogant and corrupt war on drugs by America's "leaders" constitutes a greater threat, and the source of far greater harm to the people, than the threat of terrorism. The terrorism threat has been a fortuitous event for the people in key government positions that were close to being exposed for their direct or cover-up involvement in drug smuggling by people acting under cover of government positions. Those people for whom all hope is lost, sentenced to life in prison or long prison terms, can get relief if enough good people would become aware of the evidence detailed in this and related Internet sites, in lawsuits, and in the print books, Drugging America, Defrauding America, and strange as it may seem, Unfriendly Skies. In addition, if the subsequent editions in E-book format (for downloading) are read, the ties between the corrupt war on drugs and the events of September 11, 2001, will become easier to understand. 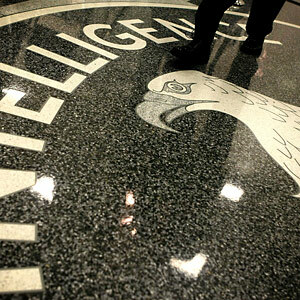 The information included in this site and in the books containing reference to CIA activities comes from an unprecedented group of insiders consisting of former agents of the FBI, DEA, Customs, INS, CIA−including former heads of secret CIA airlines and secret CIA financial operations. Discover the close links between the arrogant and corrupt war on drugs and the corruption that brought about conditions that encouraged and insured the success of the four groups of terrorist hijackers on September 11−and 40 years of prior fatal hijackings. All of these pages and on the links, and the books, will provide the ammunition to fight the government's arrogant and corrupt war on drugs, and this evaluation can start by clicking here. Another slant to the so-called war-on-drugs, showing it to be more of an attack upon America's men and women by people in control of the three branches of the federal government can be found by clicking here. But read the books! Information to reduce your chances of being falsely charged and imprisoned on drug related offenses, and show how almost anyone can and often is falsely charged, stripped of assets, and imprisoned. Information from insiders about drug money going to politicians, involvement of key politicians in prior drug operations, CIA money funding secret bank accounts of key politicians, as revealed by CIA and other insiders. Information showing why the system will not change, who would be threatened by changes, who profits from putting men and women in prison, and how the so-called war-on-drugs is simply another form of activity targeting the American people involving their "leaders." Evidence that could assist courageous people to force major changes in the so-called war on drugs−if such people could ever be found! Documented information that can bring about the release from prison of many men and women whose lives have been ruined by the corruption in the three branches of government. The corruption related to illegal drugs is only one tentacle to a far more broader area of corruption. The books written by insiders reveal the many areas in which these various forms of corruption tragically affects countless numbers of Americans and upon national security. The specifics of the extensive corruption in the Central Intelligence Agency, including decades of drug smuggling into the United States. Unprecedented court-admissible evidence provides support for this and other statements included in the book, Defrauding America (4th edition), and the various documents and other evidence to which reference is made. The documented corrupt activities implicating government officials, as disclosed by government insiders. The great harm inflicted upon America's men and women and families by arrogant and corrupt people in control of the three branches of government. Information to understand the complex web of intrigue known only to a selected few insiders. The knowledge needed to protect yourself and to minimize the personal, physical and financial harm that are being inflicted upon Americans throughout the United States. The truth about how and by-whom many Americans are being drugged. The documented acts of federal judges and Justices of the U.S. Supreme Court, in cover-ups, obstruction of justice, retaliation against government agents and citizens who seek to report the corruption they discovered. Proof of hard-core corruption in government is provided by dozens of insiders. Hundreds of years of cumulative insider experience is provided by the dozens of government agents and former drug traffickers who have courageously provided the evidence that constitutes the books, Drugging America and Defrauding America, that clearly shows the undermining of a nation by corrupt personnel in the three branches of government. Fifty years of CIA drug trafficking into the United States, with secret congressional testimony, letters written by government insiders, information from major drug traffickers, and much more. Secret relations in drug trafficking between the CIA and organized crime. Justice Department's involvement in the coverups and obstruction of justice relating to these criminal and subversive activities. Corruption in other government agencies, including U.S. Customs Service, Drug Enforcement Administration, Immigration and Naturalization Service, as revealed by insiders. Pattern of lying, fraud, perjury by and under the direction of Justice Department personnel that result in long prison terms, even life, for innocent people, and the great enlargement of charges against people with minor offenses. This could be you or a member of your family at any time. Thousands of families destroyed by the direct corrupt acts of Justice Department personnel, aided by a coalition of judges, other government agents, members of Congress, and the lap-dog media, all of whom are criminally linked to the underlying government corruption by their cover-ups and other wrongful acts. The grave implications of these documented activities upon American and individual Americans, and the very slim chance of the people to protect themselves against the powerful Trojan Horse type of corruption coming from within. Many government insiders, former drug traffickers, and hard evidence, fill the 520 pages of this hard-cover book. This book provides evidence showing CIA personnel, acting with foreign drug lords and domestic organized crime figures, smuggling tens of tons of drugs into the United States−with cover-ups by Justice Department personnel and others−while government prosecutors simultaneously bring about long-term imprisonment of tens of thousands of men and women on bogus drug conspiracy charges or for peanut-quantities of drugs. These are hard-core crimes against America and Americans. Former federal agent Rodney Stich and his coalition of other insiders have been gathering information on CIA drug trafficking for decades. He first encountered these activities while he was an airline captain flying for Japan Airlines out of Tokyo and also out of Beirut, Baghdad and other Middle East locations in the early 1950s. While talking to other pilots and in normal pilot-to-pilot conversations, many pilots described to him that they were flying for CIA-related operations and airlines and hauling drugs. They made no big deal out of it; it was simply another job for which pilots were increasingly involved. These pilots included those who flew for Air America, Civil Air Transport, and other covert CIA operations. Over the next four decades Stich continued to receive information about the CIA drug trafficking from pilots who actually flew the drugs. Some of these pilots were from covert CIA airlines including Air America, and some of them came to work for the same airline that he worked for. These pilots had no agenda or reason to fabricate these comments to their fellow pilots. They were speaking the truth. FBI Special Agent who repeatedly reported CIA drug trafficking to his supervisors and to FBI Director William Sessions, and to Congress. Some of these drug activities were funding terrorist cells based in New Jersey and New York. Justice Department personnel retaliated against him for reporting these matters and falsely charged him with a federal offense (once using a government credit card to refuel his personal automobile being used on government business), and then having New York state prosecutors charge him with offenses involving boys. The extraordinary 80-year sentence insured that his exposure actions would be silenced and that he would be discredited. Paradoxically, the terrorists who crashed an American and United Boeing 767 into the World Trade Center are believed to have received some of their funding and/or assistance from the New Jersey and New York terrorist cells that were previously protected by Justice Department personnel (and a former New York City mayor). Another example of "blowback." Former head of a CIA proprietary airline for over a decade, who described in great detail the drugs that he carried for the CIA, how the CIA set up his airline, how the CIA funded the operation, how the CIA armed terrorists, including the IRA. Former head of a large CIA financial operation based in Hawaii who had provided Stich with a great amount of data and documentation. He provided information concerning how the CIA and FBI, in Los Angeles in 1995, refused the offer of several dozen surface-to-air missiles offered to the United States at no charge by Afghan General Rashid Dostum, thereby permitting the missiles to be acquired by Afghan terrorists. CIA operatives who operated covert CIA financial institutions, describing the looting of the HUD program, the savings and loans, and other financial scams. Many pilots who flew drugs for the CIA and DEA, who gave Stich hundreds of hours of specific details of these operations, including maps. Military personnel who described to Stich the existence of CIA drug trafficking at the military base at which they were stationed. Vice squad detective who repeatedly reported to his New York City superiors of the CIA involvement in drug trafficking. And many other inside sources acquired during years of friendship and research. Confidential transcripts of testimony given to members of Congress by CIA operatives of the CIA's dealing in drugs, dealing with organized crime families, laundering of drug money for organized crime families and the CIA itself. Many books have been written by DEA agents and others who described the CIA drug trafficking that they observed in their area of operations. Iran-Contra hearings that showed the White House's and National Security Council's involvement in drug smuggling. Coalition of present and former government agents, drug traffickers, Mafia family members, who are part of a witness list prepared by Rodney Stich, who can testify about the various criminal activities that Stich writes about in his three books, and who are willing to testify at a meaningful and open hearing into these activities. To fight the involvement of high-level government personnel in drug smuggling it is important that those people who aided and abetted the felonies by cover-ups be recognized. It is a crime for anyone who hears or discovers information of a possible federal crime not to promptly report it as required by the federal crime reporting statute. Anyone who blocks the reporting of a possible federal crime, or who fails to promptly report the possible crime, is guilty of a felony under federal obstruction of justice laws. Justice Department lawyers who for decades knew of the CIA-related drugging of America and who obstructed justice by blocking investigations and prosecutions, who retaliated against whistleblowers, and who participated in the drug trafficking. Federal judges who knew of these crimes and blocked the reporting of them. This relationship is documented. Members of Congress who knew of the drug trafficking for years, and covered up. See sample of letters sent to members of Congress, and see details of testimony given to them that is found in Defrauding America and Drugging America. Other letters pertaining to terrorists, to corruption in the three branches of the federal government, can be found by clicking here. Much of the broadcast and print media who knew of the drug trafficking and engaged in cover-ups, disinformation, or simply remained quiet. This includes the widespread reporters and announcers who are paid by the CIA to keep the public from being informed about these crimes. The fourth edition of Defrauding America reveals the media's cover-up of very serious government crimes in scandals most Americans haven't even heard about. This makes the members of the media criminally involved in the crimes against America and Americans. It is their business to keep abreast of information, reports, rumors, such as existed for decades of CIA drug trafficking. It was their responsibility to investigate the decades of reports of these obvious criminal and subversive activities. There was no absence of reports of CIA drug trafficking during the CIA-originated Vietnam War. There was no absence of reports of drug trafficking during the White House's National Security Council's (NSC) war in Nicaragua. Federal judges and cooperating lawyers have played a key role in blocking the exposure of the drug smuggling by people acting under cover of government offices and retaliating against government whistle-blowers. In order to keep the information of drug smuggling into the United States by people acting under government cover many forms of cover-ups were needed. These included the misuse of the Justice Department to prosecute whistleblowers, the cover-ups by members of Congress, the control of the media by CIA funding and CIA plants, and literally subverting the constitutional checks and balances. With thousands of people aware of these corrupt activities, and most of the public being unaware of them−partly out of their own determined state of denial−accolades must be given to the success of the obstruction of justice tactics. The book, Defrauding America, reveals how Justice Department prosecutors and federal judges (many of whom are former Justice Department lawyers) act together to indict and convict federal agents who were trying to expose criminal activities in government operations. False charges can easily be filed against any government agent, perjured testimony obtained, evidence can be planted, and then rely upon the naiveté of the average juror who believes almost anything the government prosecutor says. Judges will bar the critical testimony, bar the admission of critical documents, and engage in tactics that make a mockery of the idea of justice for all. Proving the drugging of Americans by people in control of key government offices, the cover-ups of such crimes by other government personnel in the three branches of the federal government, and the role played by key members of the broadcast and print media. Showing the difficulty facing the American people in bringing to justice those who are guilty, and to reverse the government arrogance and continuing harm inflicted upon the people. Providing the tools necessary for good people, with courage and character, to force repeal of draconian mandatory minimum sentencing, conspiracy, and forfeiture statutes. This is an unprecedented opportunity to use the information revealed by dozens of courageous insiders to attack arrogant people in government who are playing a role in covert practices inflicting great harm upon many people. Do nothing, and you are part of the problem. Bring about the release from federal prison of the thousands of men and women falsely convicted or sentenced to prison terms far beyond the severity of the offenses charged. By publicizing the criminal activities of the people in government smuggling huge quantities of drugs into the United States, and the cover-ups of these criminal and subversive activities, actions could be forced that would result in release of many inmates convicted of non-violent offenses. But this takes help, as one person can't take on the system, despite his overwhelming evidence. Links to Related Information on Endemic Corruption in the U.S.
Culture in the FBI and other Department of Justice offices. Murderous culture in the FBI. Culture of cover-ups by the bribe-taking members of Congress. Culture of cover-ups by media people and media corporations. Far more information on the endemic corruption, endemic cover-ups, and history of resulting harm to Americans and the nation. Sampling of prior books reviews.